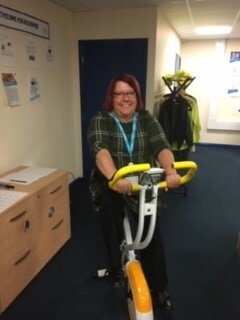 During Xylem Watermark’s October Month of Service, employees from Xylem’s office in Axminster, UK have created a simulation in which they cycle in the office to raise awareness of the 6.5km walked by women each day for approximately 20 liters of water in areas affected by water scarcity. 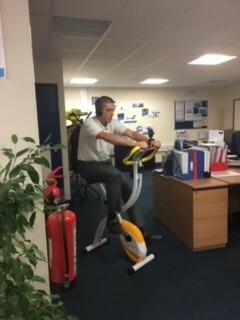 Each morning, the employees take note of the distance cycled and calculate the equivalent amount of water carried. 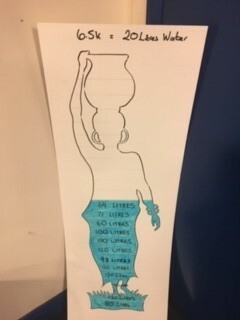 This information is then entered onto their water measure poster pictured below.